We are a professional, exciting and unique band. 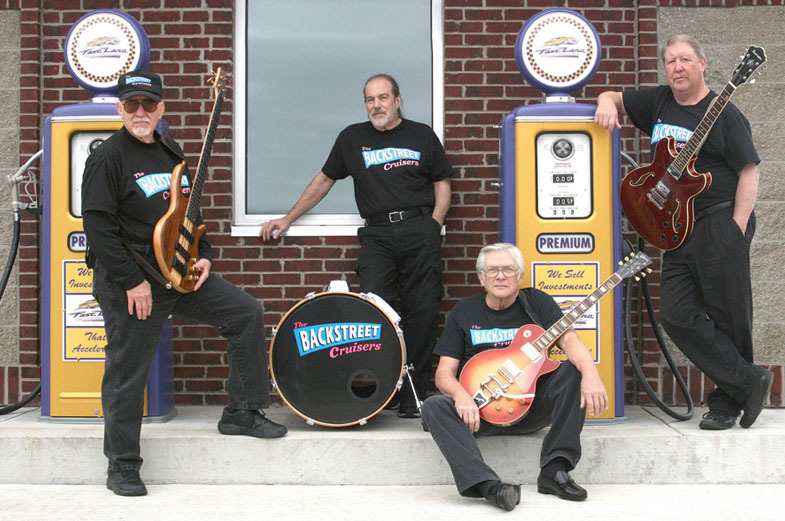 The Backstreet Cruisers have performed at various venues including festivals, corporate events, nightclubs, country music clubs, oprys, weddings, outdoor parks and more throughout Missouri, Illinois and Indiana. We accommodate any age crowd with the best of good old Rock ‘n Roll from the 50's & 60's; featuring excellent cover songs of such musical greats as Chuck Berry, Buddy Holly, Johnny Cash, Roy Orbison, the Temptations, the Beatles, Elvis and many more of your favorites. This is the music that was playing on your AM car radio back-in-the-day while you were cruising the local hamburger stand in your ’57 Chevy convertible with fender skirts and fuzzy dice. This is feel-good music that is guaranteed to put a smile on your face and make you feel like a teenager again no matter what your age. 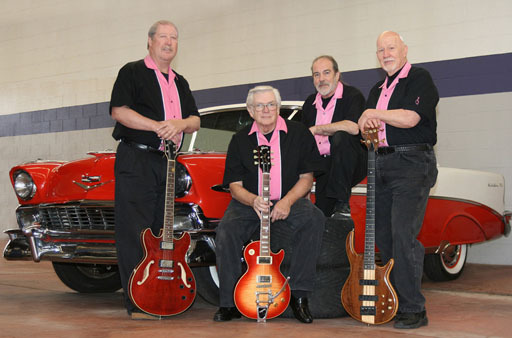 The Backstreet Cruisers consists of four veteran musicians playing two guitars, bass, and drums. The musical careers of all members of the band extend back to, and are firmly rooted in, the exciting dawn of the Rock ‘n Roll era. All band members sing, adding to the musical variety and harmony necessary to faithfully recreate these timeless Rock ‘n Roll Classics. The Backstreet Cruisers are an ideal fit for any event and, being a small and self-contained group, we are moderately priced. Let us trigger your trip down memory lane with a live performance of all your favorite Rock 'n Roll Classics. You Will Love Our Sound! We are glad you stopped by. We would love to perform for you. Please check out our calendar listing for up-to-date information about where we are playing next!